May is National Historic Preservation Month. 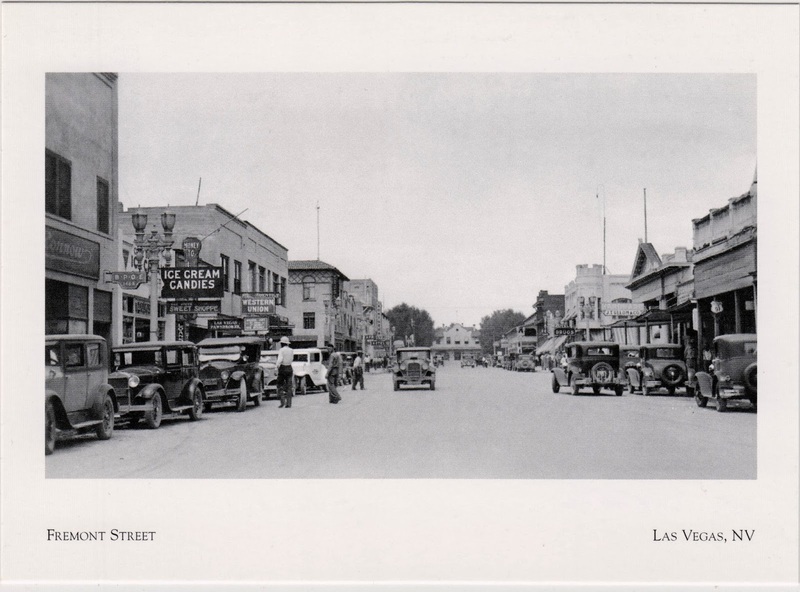 Postcard US-2545672 to Russia shows a historic photo of Fremont Street looking west around 1930. The train depot is at the end of the street. There was an Elks lodge, an ice cream and sweets store, a Western Union, and a hardware store. Doctors, dentists, and lawyers had their offices on the second floor of many of the buildings. The Union Plaza Hotel was built at the location of the train depot in the early seventies. 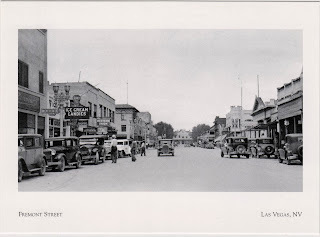 It continued to have the Union Pacific Railway Station attached until Amtrak discontinued passenger train services into Las Vegas in the late nineties. The area where the train station was has since been converted into additional casino space as part of the Plaza Hotel and Casino.